Alec is 19 years old. He was ranked number 1 in Australia for Open Men's Recurve, as of 31/3/2013. In July 2011 he shot his first World Record in Cadet Boys Indoor Recurve, breaking a record that has stood since 2002 by David Barnes, who went on to compete in the 2004 Olympic Games. He has represented Australia in International Competition 5 times to date. 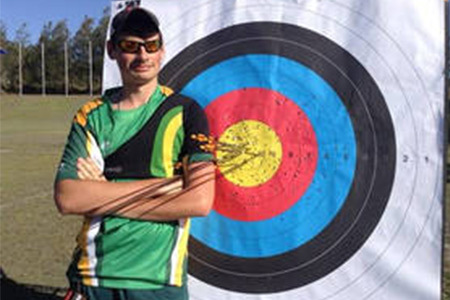 He has won the Best All Round Recurve Male at the Australian National Youth Archery Competitions five years in a row. Making him the only Australian junior to ever achieve this feat. To date he has achieved over 70 national records and over 300 state records, many of these in the senior divisions.On the first day of the Australian National Youth Archery Championships in 2010 in Perth, in strong winds, he scored higher than any other archer, even those using compound bows, scoring 1296. He is currently a member of the Senior National team and is in training for the 2016 Olympic Games.